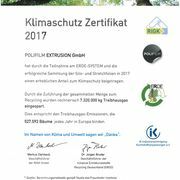 As a founding member of the initiative Erntekunststoffe Recycling Deutschland - ERDE -we recycle used agricultural films sensibly and use some of the recovered regenerates in the production of our products, e.g. in silage films. 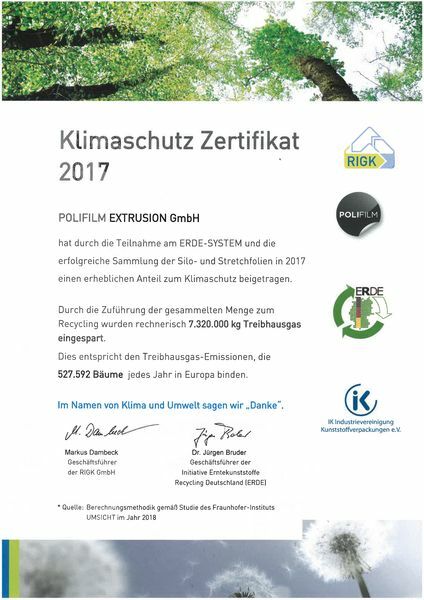 By recycling our collected quantities of used silage and stretch film in 2017, we have helped to save 7,320,000 kg of greenhouse gas. This corresponds to the greenhouse gas emissions that bind 527,592 trees in Europe every year.